Thankful for our tile family! As we celebrate this season of thanks, we’d like to send a special ‘Thank You’ to our customers and our work family! The past few years have been tough for all of us in the construction industry, and we are very appreciative of the work we’ve been privileged to perform and of those who have been part of our team. We thank our customers for trusting us with your home and business improvements — we are honored to have provided tile installations and service that will stand the test of time. The tile products we use are of the highest quality, and we are constantly impressed as manufacturers improve and advance their technology. But tile installation remains an artisan craft that, as far as we can see, will always require the human touch. We are incredibly proud of the skilled craftsmen who produce work as beautiful (and technically sound) as any in the industry. Those artisans are the ones you will most often encounter on the jobsite, but equally important is the small, but essential, team of talented and knowledgeable office and supervisory staff that stand behind them. Our work family has been together for 10-15 years, and, as we’ve persevered through these challenging times, we’ve come to really appreciate our diverse skill sets and our united passion for excellence. The people behind every estimate, every order, every phone call, and every piece of tile are our company’s greatest asset, and we want to say ‘Thank You’ for all the hours, the hard work, the patience, and the perseverance you’ve provided. 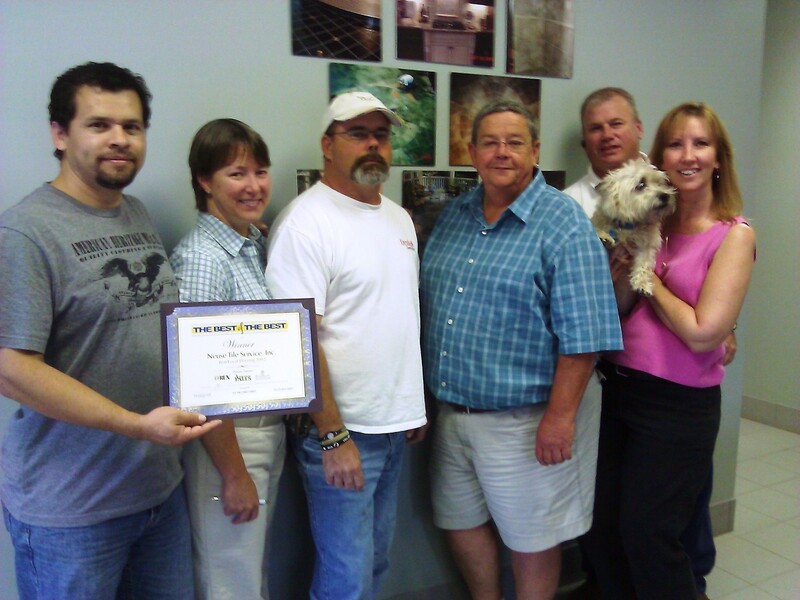 We give special recognition to two team members who are concluding their time with Neuse Tile. Leigh, you’ve been that reassuring voice for so many who’ve needed details about their installation schedule or some of your expert cleaning advice, and Scott, your passion for details and drive to get the job done are legendary on commercial construction sites. We will greatly miss you both! You have been a very important part of the Neuse Tile story, and, though we know the folks taking your roles are extremely capable, we want you to know that your contribution here will always be appreciated and remembered. For you and all those who have kept Neuse Tile going, we are grateful. Happy Thanksgiving to all of you and your families! Categories: Local business, Tile installation expertise | Tags: Installation expertise, Local tile expertise, Neuse Tile history, Raleigh tile installer | Permalink.